As proof that today's focus on creating a positive "patient financial experience" didn't grow out of thin air, we share the journey of Bon Secours Charity Health Services on becoming patient-focused beyond clinical care...indeed, throughout the entire billing experience. This account was written by the former Vice President of Revenue Cycle, who had responsibility for patient access, patient financial services, the charge master, health information management, revenue integrity and clinical documentation improvement for the three New York faith-based hospitals. Considering today’s difficult economic environment — the introduction and uncertainty of health exchanges, the growth of true self pay, rising balance-after-insurance receivables, and rising deductibles and co-pays — providers are facing new challenges and struggling to manage bad debt. Simultaneously, business office resources have been reduced to dangerously low levels, especially if you happen to be the patient financial services leader responsible for your organization’s accounts receivable. Bon Secours Charity Health System (BSCHS) does not claim to have all the answers, but we have learned to keep our focus on our patients. Self pay is unquestionably one of the fastest-growing segments of our revenue cycle, and likely yours, too. As self pay grows at BSCHS, so does the need to focus on making it convenient and easy for patients to meet their obligations. In fact, one survey suggests that 48% of Americans have chosen to delay medically necessary procedures because of economic challenges or uncertainty. This is simply unacceptable and contrary to our mission as a non-profit. Over the past several years, we have responded to this trend by designing a revenue cycle system that provides multiple options for the patients we value and serve. In addition, we have improved our ability to communicate those options in a collaborative, direct, and efficient manner. At the core of our system is this notable practice: informing the patient (prior to service) regarding the self pay balance and offering a series of payment alternatives, including qualification for Medicaid, charity care, crime services, no fault or a qualified health plan from the local health exchange. This practice significantly increases the likelihood of payment, both from the patient and from a third-party source, all the while improving patient satisfaction. In addition, at the core of our system was a notable decision: selecting the right business partner. In essence, we want to avoid any delay in the self pay collection cycle. Specifically, we want to avoid the delay that occurs when a Medicaid advocacy vendor reviews, makes contact and obtains an application. The earlier we can identify who is capable of paying (“pay me now”) and who will qualify for Medicaid or charity care (“don’t pay me”), the more cash we collect and the more patients we move into the financial assistance program best suited to their circumstances. When we went looking for a partner to handle day-one self pay, we knew we wanted to rapidly hold conversations with every patient within a very short period of time after service, should our point-of-service effort fail. Finding the best approach to use was a separate challenge, since moving the calling campaign so far forward is not a common practice. A vendor headquartered in Iowa proved to be the right fit with BSCHS. This fast-growing revenue cycle management firm offered a unique, patient-centered approach executed by highly trained, college-educated, tenured employees. Reaching out to patients for money is the standard agency approach. But our partner’s tactics go the extra mile. Staff trained in claims adjudication reach out to patients to simply explain the reason money is due prior to helping negotiate a repayment option. This approach has had a profound impact on cash and on the level of patient complaints. Cash is up 25% at BSCHS, and patient complaints are virtually non-existent. Working with this partner has confirmed for us that among patients who have the means to pay, many simply need to understand their charges. The next most obvious question for most provider-based revenue cycle leaders is whether this approach can be implemented without escalating the cost to collect. At BSCHS, the cost to collect was greater internally than the outsourcing model we built, even without factoring in the yield. How? Keep in mind that a vendor servicing a large number of hospitals has the ability to negotiate much lower statement costs while deploying better technology, which are the same factors that make it difficult to compete. In addition, try asking your staff to work evenings and weekends. That answer is, of course, predictable. Our self pay partner works with us, as well as for us, keeping our best interests at heart. For instance, we have requested multiple alterations to our statements, such as adding a web address for the local navigator, and our vendor has repeatedly absorbed the associated costs. Our partner has also performed consultative analysis on our accounts receivable. When opportunities present that may improve our internal performance — even those that would reduce future placements — our partner is quick to review them and offer sound business advice. Like many hospitals, we strive to identify as many of our patients who qualify for charity care as possible and funnel them into our primary care network to ensure we are providing more cost-effective treatment. This also guarantees that our emergency room is accessible to those who truly need urgent care. Through the efforts of both our business partners, we are able to help our patients manage their way through the process. One outcome is that we are certifying roughly 175 – 250 additional Medicaid eligible patients each month who never would have been certified in the past, thereby keeping the self pay receivables truly patient receivables. With health exchanges, we anticipate the need to direct as many uninsured patients to our local navigators as possible. Without adding a single resource, our partners have assumed shared responsibility to direct these patients to the payers with whom we participate. When we migrate people onto plans with low premiums, there is one other aspect of revenue cycle we must embrace: there will be a long line of high-deductible patients who will want to challenge our pricing. With the willingness of our local and national press to constantly point out “outrageous” facts about healthcare — how much hospitals and physicians charge the public, what senior executives get paid, why a knee replacement cost would vary by 50% across different providers — the management of our patient calls becomes increasingly important, as well as the options we provide for repayment. We intend to offer these patients a loan program as an affordable, patient-friendly, interest-free financing option. Although higher deductibles will be a challenge for many, we intend to hold the line on extended terms, choosing to limit our in-house repayment terms to 12 months. The bank will reduce their monthly payment and manage the extended term, which keeps our receivables younger and easier to manage. All told, in spite of the changing face of healthcare today, some things do not change. All hospitals and healthcare providers want to improve outcomes, improve the patient experience and improve control over costs. These goals are all interconnected; it’s impossible to improve one without improving all three. Our patients want a positive healthcare experience with a high level of customer service. Financially, they want to know they are getting the best value for the money they spend. It is our duty to demonstrate our commitment to these tenets, as any failure to do so will work exponentially against us. Our outsourcing partners must live by our same values, reflecting our compassionate approach to resolving a patient’s anxiety over the financial aspect of their care. As a faith-based healthcare organization, we value a vendor who demonstrates experience in representing other faith-based organizations. If our partner is to operate as a true extension of our business office, they must hold tightly to our mission, our values, and our commitment to the poor. Having a highly educated staff and a highly trained and technologically advanced call center was important, but not as imperative as ensuring that every patient feels the importance we place on their decision to choose our hospital. Our day one self pay partner has proven to be transparent, accountable and trustworthy, demonstrating a strong and sincere understanding of, and commitment to, BSCHS’s vision of excellence in patient care. Looking more broadly, the healthcare industry is simply going the way that many industries have gone already. We cannot survive without focusing on customer satisfaction and meeting the needs of our patients. As the healthcare industry changes and as customer needs change over time, providers will have to change, too. Remember the saying: “If you don’t take care of the customer, someone else will”? Whether it is your clinical processes, your scrutinized pricing or your availability to assist financially challenged patients, instances of innovation and change are the means by which hospitals can meet the growing needs and demands of our patients. For BSCHS, the choices we have made for our own revenue cycle and the partnerships we have forged have helped our organization reduce our bad debt by over 57% in the past 23 months. We think we still have room for improvement and we are far from perfect, but by leveraging all of the self pay programs together we hope to see further improvement in our bad debt write-offs. We strive daily to do our best to provide great care, great service, and to help all of our patients better understand and better manage their financial obligations. 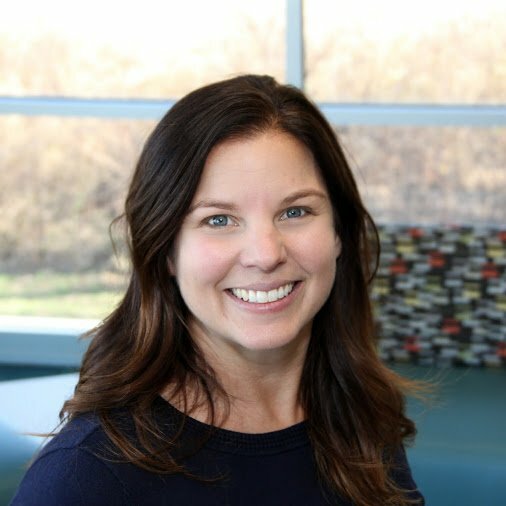 As Director of Marketing for MediRevv, Dana champions the brand and works diligently to generate leads for the sales team. Dana is an informed decision maker and has a crucial role in developing ongoing strategy and growth for the organization. She is always thinking about the challenges and pain points that our clients and prospects face and works to provide solutions for success.